Size, mm: 160 (height) х 100(diameter). 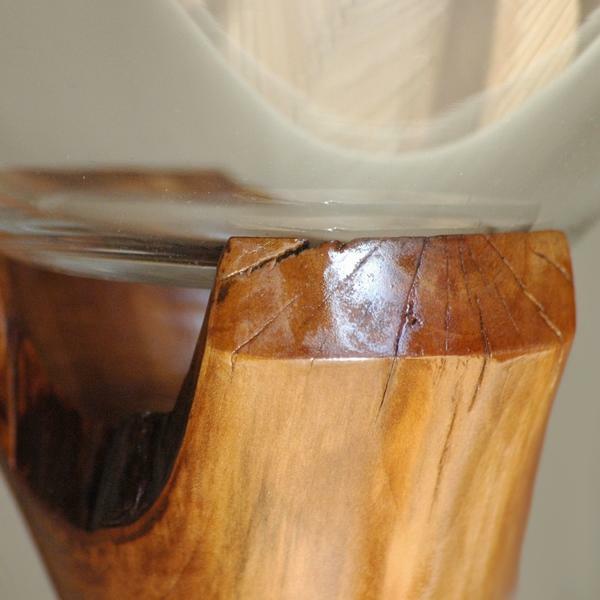 A candy vase with its base carved from wonderful and warm apple wood. The glass bowl is supported with wood on two sides, seeming invisible. A memorable gift and an elegant interior decoration.